Plas Dinam was built for Captain Offley Crewe-Read, deputy lieutenant of the county and JP, and a descendant of the ancient Crewe family of Flintshire and Cheshire. The family did not ever actually live at Plas Dinam, and sold it when they ran into financial difficulty. In 1884 Plas Dinam was bought by David Davies of Llandinam. Despite having been born into a humble family and starting work as a sawyer, David Davies went on to make a considerable fortune in the industrial revolution in Wales. In 1884 Plas Dinam was bought by David Davies of Llandinam. Despite having been born into a humble family and starting work as a sawyer, David Davies went on to make a considerable fortune building the new railway line across Wales. 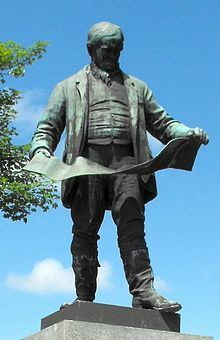 He played a major role in the construction of the Newtown to Aberystwyth railway, and then turned his attention to the rapidly expanding coal industry. A daring and entrepreneurial pioneer, David Davies went on to invest all of his money into developing mines on land leased from the Crawshay family in Rhondda. A highly risky enterprise demanding vast investment with no guarantee of success, Davies faced ruin as the cash dried up with no sign of a profitable seam of coal. At the lowest ebb, Davies was so drained of funds that work threatened to grind to a halt when he could no longer afford to pay his miners’ wages. But despite this, in a remarkable display of loyalty, faith and Welsh resilience, his men continued to dig without payment. Finally, a step away from personal ruin, there was a dramatic breakthrough at the Cwmparc mine in Treorchy. And so The Ocean Coal Company was made and David Davies’s fortune secured. David Davies had built his own mansion Broneirion in 1884, which still stands on the opposite side of the valley to Plas Dinam. He later bought Plas Dinam for his son Edward, who died in 1898 at the age of 48. Edward Davies was survived by three children, his son David and two daughters, Gwendoline and Margaret. Politically and personally, David followed the lead set by his grandfather. From 1906 to 1929, he was the Liberal Member of Parliament for Montgomeryshire. He fought in the First World War and later was an active supporter of the League of Nations. In 1932 he established the New Commonwealth Society for ‘the promotion of international law and order’, writing several books on the right use of force, notably The Problem of the Twentieth Century (1930), which was translated into German and a number of other languages. His ideas had an impact on the writing of the UN Charter, especially with regards to sanctions and the transition of national armies to an international police. 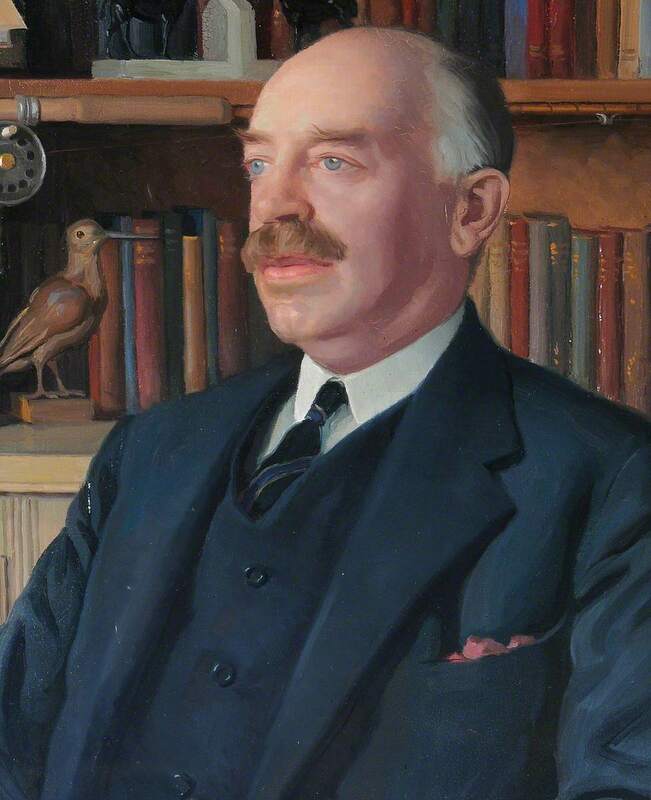 He became the first Baron of Llandinam in 1932. He endowed the Chair in International Politics established at Aberystwyth University, which also hosts the David Davies Memorial Institute of International Studies. The grand-daughters (above) of David Davies ‘Top Sawyer’ inherited a large part of his wealth and dedicated their lives to the support of the arts in Wales. 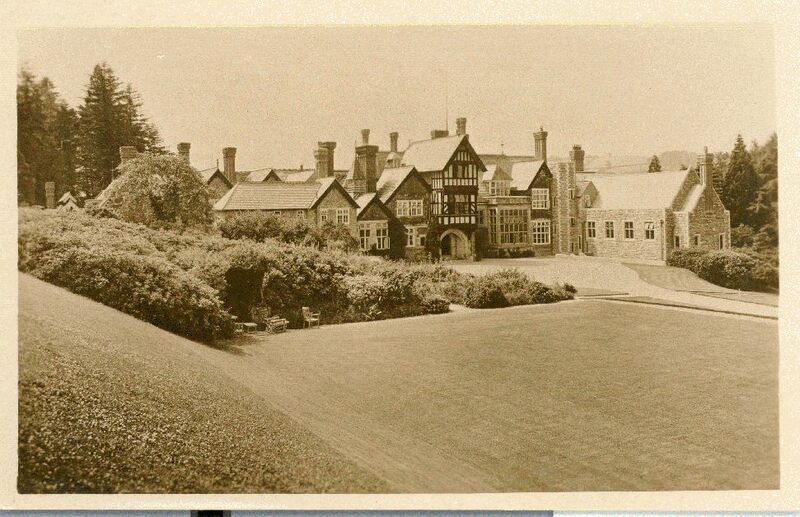 They funded the establishment of both a Department of Art and an Arts and Crafts Collection at Aberystwyth, and bought Gregynog Hall (near Newtown) which became a centre for Arts and Crafts, where they hosted concerts and conferences putting them at the heart of the Welsh, and indeed British, cultural scene. They are more widely known for their large early collection of French 19th century Realist, Impressionist and Post-Impressionist painting which they bequeathed to the National Museum of Wales in Cardiff in 1952 and 1963. The collection includes paintings by Renoir, Monet, Manet, Van Gogh and Cézanne, and sculptures by Rodin Degas and others. The Davies Collection is a remarkable testament to the sisters’ incredibly avant-garde appreciation of art, both as female collectors and as supporters of, at that time, a largely disregarded style. Lady (Eldrydd) Davies, wife of the second Lord Davies, effectively inherited the house when her husband Mike was killed in action in Holland in 1944. Her father in law had died earlier in the same year. Raising two sons by herself at Llwynderw in the village, she took the momentous decision to move back into Plas Dinam in 1957 with her two sons David and Jonathan. It has been a much-loved family home ever since, with the current Lord and Lady Davies moving into the house after his mother’s death in 1966. In 2001 a fire devastated the top floor of the house, and over a period of 2 years parts of the roof and house were rebuilt and much of the house was redecorated. In 2011 the current Lord and Lady Davies decided to “downsize” and have moved out. Their daughter Eldrydd and her family have decided to move back to the area from Australia to look after Plas Dinam and allow other people to enjoy staying there.